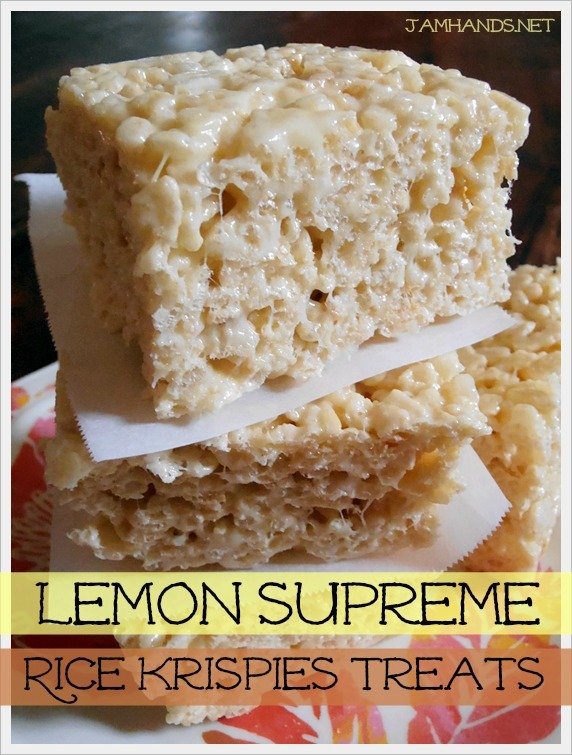 Rice Krispies Treats are a childhood favorite of mine, so when I saw this recipe at Sweet As A Cookie, I had to try it out. My secret to the perfect rice krispies treat is to use an 8-inch pan for thicker squares, as well as having a gentle hand when pressing the treats into the pan, being careful not to compress the treats too much. Many thanks to Sweet As A Cookie for this delicious recipe. Enjoy! 1. Prepare a 8-inch pan with butter; set aside. 2. In a large saucepan melt butter over low heat with the lemon zest and juice. Add in marshmallows and stir until completely melted. Slowly stir in the dry cake mix. 3. Once combined remove from heat and stir in the cereal. Scoop into prepared pan. Very lightly spray your hands with cooking spray and smooth the top of the treats and fill in along the edges to get an even layer. Let cool for about an hour. 4. To cut them up easily, put down a big piece of parchment paper on the counter top. Run a knife along the edges of the pan of rice krispies treats to loosen them, then invert the pan and they should pop out. Use a sharp knife to cut into squares. Recipe from Sweet As A Cookie. Sharing this recipe at the following fun link parties. These look heavenly! I've enjoyed looking through your blog. Come check out Sunshine Pen Pals and join the fun! Lemon?! 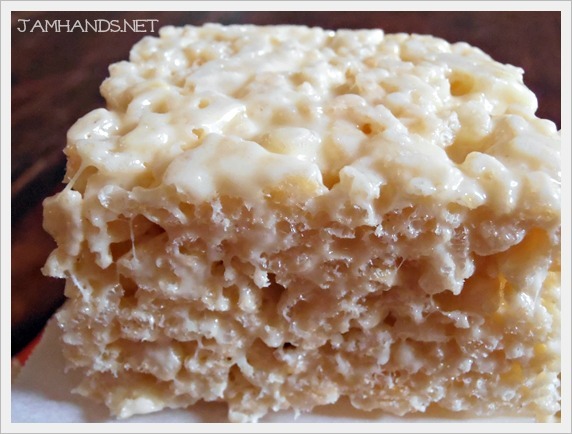 Rice Krispy Treats!! Oh it's a win-win!! Certainly a change from the plain!! Oh boy what a treat ... my mouth is watering all ready! I'm wild about lemon and lime in desserts, your crispy delicate cakes must be so delicious!